MNF-Iraq (OND) is reporting the death of a U.S. service from a non-hostile incident in an undisclosed location in southern Iraq on Wednesday, April 27th. Xinhuanet news is reporting the death of a U.S. soldier during "operations" in an undisclosed location in southern Iraq on Friday. April 29th. #1: “Three IEDs targeted an Iraqi federal police convoy in the village of al-Janabat, al-Zaafaraniya area, southeast of Baghdad, leaving three dead, a police officer and two civilians, and wounding 28 others, including eight policemen,” the source told Aswat al-Iraq news agency. #2: Earlier, the source told Aswat al-Iraq that 12 persons, including four policemen, were wounded in blasts from three IEDs that went off near a convoy of police vehicles in al-Janabat. #1: In Baquba, a source in Diyala region police said that 5 people from the same family were killed and wounded when a clay house collapsed east of Baquba. #1: Diwaniah police found the body of an unknown man who died burnt in a deserted region north of the city. #1: A judge was killed and members of his family wounded after his house situated in Taji Region North of Baghdad was bombed with a number of explosives. A security source told Alsumarianews that unknown armed men wearing military uniforms attacked many houses form members of the awakening councils in a village situated in Taji region north of Baghdad. The attacks killed one of the armed-men who was wearing a major’s costume and wounded two of awakening council members. #2: The same source said that an employee in the Ministry of Industry & Minerals has been killed, together with his daughter, by a group of unknown gunmen, who broke into his house in Qadiriya village north of Baghdad’s Taji district. #1: “Unidentified gunmen opened fire from a vehicle on a man in al-Quds street, near al-Hadja Sabriya Mosque, central Kirkuk, leaving him wounded,” the source told Aswat al-Iraq news agency. #2: Meanwhile, an Iraqi army patrol dismantled an IED on the main road near the village of Shemeit, al-Zab district, (85 km) southwest of Kirkuk before detonating it without incident. #1: A tribal notable was shot dead by unidentified gunmen near a federal police checkpoint in western Mosul city on Friday, a local security source in Ninewa said. “Gunmen opened fire Sheikh Mutashar al-Okaydi on a main street in the area of al-Mosul al-Jadida (New Mosul) in the western part of the city, just 10 meters away from a federal police checkpoint, killing him instantly,” the source told Aswat al-Iraq news agency. #1: NATO oil tanker used to transport oil to NATO forces caught fire after explosion whereas no loss of life reported here in Peshawar on Saturday. The NATO oil tanker caught fire and exploded. The flame engulfed and destroyed trucks that were parked nearby. Sugar worth millions of rupees was burnt to ashes incident. The crew of the oil tanker was not present at the time of the accident. The oil tanker on its way to Afghanistan via Tourkham exploded near the Karkhano market area. According to eye witnesses, the oil tanker was stationary due to a technical problem when it suddenly caught fire at 4:30am on Saturday. The police declared the incident was not due to a terrorist activity. #2: A passenger van struck a landmine in Pakistan&apos;s northwestern tribal region of Kurram on Saturday, killing two people and wounding six, local official Mowaz Khan said. DoD: Lt. Col. Frank D. Bryant Jr.
NATO is reporting the death of an ISAF soldier from an insurgent attack in an undisclosed location in eastern Afghanistan on Thursday, April 28th. NATO is reporting the deaths of two ISAF soldiers from an IED attack in an undisclosed location in southern Afghanistan on Thursday, April 28th. #1: The death toll of a suicide bombing in Iraq's eastern province of Diyala has risen to 12 with 40 others wounded, local police source told Xinhua. "The attack occurred when a suicide bomber detonated himself inside a Shiite mosque in Baladrowse town, which locates 30 km east of Baquba, capital of Diyala province," said the police who refused to be named because he was not authorized to speak to the media. "The bombing killed 12 people and wounded another 40, all of whom are Shiites," said the source, adding police and ambulances immediately rushed to the site and blocked the ways and evacuated the victims. 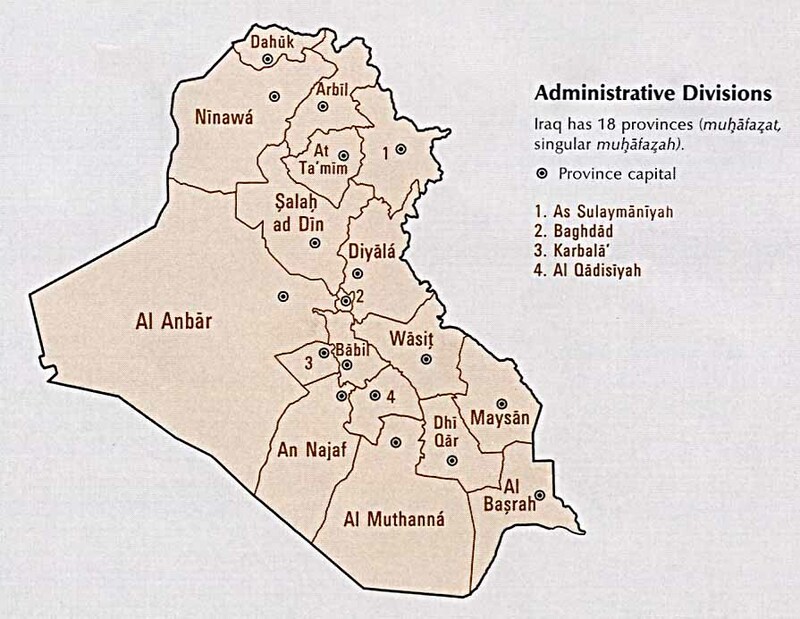 #2: Police and medical officials in Diyala province say gunmen stormed the home of the imam in a small village 30 miles (50 kilometers) northeast of the provincial capital of Baqouba on Friday morning. The imam, his wife and their daughter were killed. Police say the imam had preached against sectarian violence. #3: In the town of Buhriz, a former Saddam stronghold about 35 miles (60 kilometers) north of Baghdad, gunmen broke into a house and shot and killed three brothers who worked in an anti-al-Qaida militia. #1: A police officer was killed late Thursday by gunmen in al-Shurqat district, a police source said on Friday. “Unknown gunmen attacked a police officer driving a civilian car near his house in al-Shurqat district, killing him on the spot,” the source told Aswat al-Iraq news agency. #1: An officer and a soldier were killed and two other soldiers wounded in an improvised explosive device attack west of Mosul city on Thursday, a local security source said. “A medical officer in the rank of lieutenant and a soldier were killed and two soldiers others wounded when an IED blast targeted their patrol near al-Sham Gate, west of Mosul,” the source told Aswat al-Iraq news agency. “The patrol belongs to a 3rd Division of the Iraqi army stationed in al-Kasak, west of Mosul, which was on the way to the Samarra pharmaceuticals plant when the IED blew up at the western entrance of Mosul,” he added. #1: At least 33 militants were killed by security forces and pro-government militia in tribal areas in northwest Pakistan on Thursday, local media reported. According to TV Express, at least six militants were killed in a clash with local pro-government tribes in Kurram agency, one of the seven tribal regions bordering Afghanistan. After the clash which also killed two militia, security forces launched offensive on militants in Kurram agency and neighboring Orakzai agency. Security forces backed by gunship helicopters bombarded militants hideouts and killed at least 27 insurgents. #2: Four Afghan private security guards and six Taliban insurgents were killed in a gun battle that broke out after the militants attacked a NATO supply convoy in Aband district of Ghazni province, southwest of Kabul, said provincial police chief, Zelawar Zahed. Two guards and eight insurgents were also wounded in the gunfight. Update: NATO has raised the number from six to eight ISAF soldiers killed from a shooting incident in Kabul, Afghanistan on Wednesday, April 27th. NATO is reporting the death of an ISAF soldier from an IED blast in an undisclosed location in southern Afghanistan on Wednesday, April 27th. NATO is reporting the death of an ISAF soldier from an insurgent attack in an undisclosed location in eastern Afghanistan on Wednesday, April 27th. #1: Gunmen using silenced pistols shot dead a senior Iraqi general in Baghdad on Thursday, an official said, the latest in a spate of assassinations of top military and civilian officials. The killing of Brigadier General Mohammed Alaa Jassim was the fourth of a senior Iraqi official in the past week, with at least three others having narrowly escaped death in that time. Jassim, the deputy commander of the Iraqi air force's Al-Muthanna base in central Baghdad, was in his car on a busy thoroughfare in the Ghazaliyah neighbourhood in the capital's west when he was killed, an interior ministry official said, speaking on condition of anonymity. #2: “An explosive charge, planted on al-Mashtal Bridge in eastern Baghdad’s ‘New Baghdad’ district, blew off on Wednesday, to injure 4 persons, along with causing damage to a number of civilian cars,” the security source told Aswat al-Iraq news agency. #3: He said that another explosive charge, stuck to a car, belonging to an employee of Baghdad’s National Theatre, blew off inside the theatre’s garage, wounding 2 of its security protection elements, who were driven to a nearby hospital for treatment. #5: whilst another explosive charge blew off in southern Baghdad’s Zayouna district, wounding 5 people,” the security source told Aswat al-Iraq. #6: A civilian driver was killed on Thursday by a sticky bomb blast in Baghdad, a security source said. "A bomb, stuck to a truck, went off Thursday morning (April 28) in al-Doura region, killing the driver on the spot," the source told Aswat al-Iraq news agency. #1: Police forces defused on Wednesday six bombs targeting oil establishments in the city, a security source said. “Al-Dabs police forces found today six bombs, three of them planted near oil wells, while the rest left on the pipelines,” the source told Aswat al-Iraq news agency. “The forces defused them without damage,” he added. #1: A roadside bomb exploded near a police patrol, killing one policeman, in Hammam al-Alil, 20 km (12 miles) south of Mosul, police said. #1: Taliban militants detonated a roadside bomb in the Pakistani city of Karachi on Thursday, killing four members of the navy, the third attack on the navy in less than a week. A motorcyclist was also killed in the blast targeted at a navy bus, while at least five people were wounded, navy spokesman Commander Salman Ali and a hospital official said. #2: New Zealand soldiers in Afghanistan have been attacked while on patrol in north eastern Bamyan province on Thursday. Defence says a patrol from the New Zealand Provincial Reconstruction Team was struck by an improvised explosive device. The New Zealanders were in a light armoured vehicle or LAV and were not hurt. The vehicle suffered some damage but can be recovered. The DoD is reporting a new death previously unreported by the military. Sgt. 1st Class Bradley S. Hughes died from a non-combat related incident in Kandahar province, Afghanistan on Sunday, April 24th. NATO is reporting the deaths of six ISAF soldiers from a shooting incident in Kabul, Afghanistan on Wednesday, April 27th. News reports that an Afghan pilot started shooting after a "dispute" in an area of Kabul airport for afghan military pilots. The shooter was killed in the incident. #1: In Baghdad, four people were wounded in the morning when a roadside bomb ripped through the neighborhood of al-Mashtel in eastern the capital, an Interior Ministry source told Xinhua on condition of anonymity. #2: Also in the capital, Shafeeq al-Mahdi, director general of the state directorate of cinema and theater, escaped unharmed a sticky bomb explosion in his car when he arrived the garage of his office in the morning, wounding two guards at the garage, the source said. #3: Eleven civilians were wounded on Tuesday in a bomb blast in southeastern Baghdad, according to a security source. "An improvised explosive went off this afternoon near the Technology University in southeastern Baghdad, injuring 11 civilians," the source told Aswat al-Iraq news agency. #4: Three gunmen were arrested on Tuesday while planting a bomb in southeastern Baghdad, according to a security source. “The three gunmen were arrested while planting a bomb near a children park in Baghdad al-Jadieda region, southeastern Baghdad,” the source told Aswat al-Iraq news agency. #1: In Iraq's northern Kirkuk, a sticky bomb attached to a truck detonated near the convoy of a police chief late on Tuesday in Arafah area in northern the city of Kirkuk, some 250 km north of Baghdad, a local police source told Xinhua on condition of anonymity. The police chief escaped unharmed, but later two roadside bomb explosions hit police and Kurdish security forces who arrived at the scene of the first blast, killing a Kurdish security man and wounding 15 others along with three policemen, the source said. #1: A policeman was killed on Tuesday by gunmen in western Mosul, a security source said. “A policeman was killed on Tuesday when gunmen opened fire on him in Mosul al-Jadieda region, western Mosul,” the source told Aswat al-Iraq news agency. #2: A policeman has been injured when an improvised explosive device (IED) blew off against a police patrol south of Mosul city on Wednesday, a Ninewa police source said. “An IED, planted on the roadside in Hammam al-Alil township, 20 km to the south of Mosul, blew off against a police patrol, wounding one of its policemen, who was driven to hospital for treatment,” the police source told Aswat al-Iraq news agency. #1: A veteran Afghan military officer opened fire on foreign forces Wednesday after a dispute at the Kabul airport, killing several NATO troops, Afghan and coalition officials said. It was the latest in a spate of deadly incidents that have occurred inside government or military installations, a favorite target of Taliban insurgents. The Taliban claimed responsibility for the attack, but Defense Ministry spokesman Gen. Mohammad Zahir Azimi said the gunman was an Afghan military pilot who "opened fire on foreigners after an argument." The pilot was killed in the shooting, which occurred inside a facility used by the Afghan Air Force, Azimi said. #2: At least three Afghan soldiers were killed and four Pakistani troops were injured in a clash that broke out on Wednesday morning along the border area of the two countries, according to local media reports. According to the report of a local Urdu TV channel Duniya, the clash broke out following the intrusion of the Afghan government forces into the Pakistani side in the Angoor Adda area of South Waziristan, a tribal area in northwest Pakistan, which borders Afghanistan. But one local English TV channel Express report said that the clash was triggered off by the bombardment of the Afghan army at a checkpoint in the Pakistani side and in retaliation the Pakistani border troops fought back. The on-going exchange of fires between the troops of the two countries have lasted for about two hours, said the Express report. #3: Two civilians have been killed by US-led foreign troops in eastern Afghanistan, amid growing discontent over the rising number of civilian fatalities in the war-ravaged country. The civilians lost their lives on Tuesday in Ghazni province, a Press TV correspondent reported. The two Afghan civilians were killed when the US-led forces opened fire on them as they were on their way on a motorcycle. #1: In Baghdad, gunmen using silenced weapons shot dead Hatam Kareem, an official with Baghdad governor's office, near his house in al-Amil district in southwestern the capital late on Monday night, an Interior Ministry source told Xinhua on condition of anonymity. #2: An improvised explosive device attached to a presidential vehicle went off in southern Baghdad on Monday, leaving two persons aboard wounded, a security source in Baghdad said. “The IED, attached to a presidential pickup truck, went off near Dhu al-Tabiqayn bridge in the area of al-Jadiriya, southern Baghdad, leaving two persons aboard injured,” the source told Aswat al-Iraq news agency. #3: A bomb attached to a pick-up truck wounded two of its passengers when it went off in Baghdad's central Karrada district, an Interior Ministry source said. #1: In Kirkuk province, two children were killed and four people wounded when gunmen planted bombs around the homes of two police officers and blew them up in the town of Hawija, 60 km west of the provincial capital city of Kirkuk, Sarhat Abdul-Qader, a police chief in Kirkuk province told Xinhua. #2: Separately, two people were wounded when gunmen bombed the house of a municipal official in the town of al-Ryadh, some 50 km southwest of Kirkuk City, Qader said. #3: Also in the province, the police found the body of a policeman on a main road northeast of the city of Kirkuk, some 250 km north of Baghdad, Qader added. The victim went missing on Monday and his body has signs of gunshot in the head, he said. #4: Iraqi soldiers and Kurdish peshmerga fighters exchanged gunfire in the ethnic mixed city of Kirkuk on Monday, killing a civilian and wounding four people, a local police source said. The clashes erupted in Atlas Street in central Kikruk, some 250 km north of Baghdad, after a quarrel between Iraqi army force and peshmerga fighters guarding a Kurdish party office, the source told Xinhua on condition of anonymity. The gunfire killed a civilian and wounded two peshmerga fighters as well as two soldiers, the source said. #5: A policeman was wounded when a roadside bomb went off in central Hawija, 210 km (130 miles) north of Baghdad, Kirkuk police operations room said. #6: Iraqi troops freed three Turkish workers and one Iraqi who had been held hostage in a village near Hawija, Kirkuk police operations room said. #1: "A group of militants opened fire on a line of oil trucks destined for US forces in Roza area of Ghazni, located 136 kilometers (84 miles) south of the capital Kabul, early on Tuesday, leaving seven tankers on fire," a Press TV correspondent reported. The assailants later fled the scene. Their whereabouts are unknown. Zorawar Zahid, police chief of Ghazni, said that seven fuel tankers were set on fire in the act of terror. He noted that police cordoned off the area after the incident and have launched a search operation to arrest the perpetrators. #2: Two suicide bombers were the only victims when they detonated their explosive-packed vests in the southern Afghanistan province of Helmand Tuesday, the provincial government said. The bombers targeted private security guards escorting a convoy in Gireshk district, the Helmand governor's office said in a statement. Two security guards were slightly injured, it said. #3: A suicide bomber driving a tractor was killed when his explosives detonated prematurely in the Barmal district of southeastern Paktika province on Sunday, the Interior Ministry said. #4: Twin bomb attacks on two buses of the Pakistan navy killed at least two navy officers and two other people in the southern port city of Karachi on Tuesday, a navy spokesman said. The spokesman said in a statement that 56 people, mostly navy personnel, were injured in the attacks in two different places. Navy officer Sub-Lt. Muhammad Iqbal and a navy lady doctor Ms. Nadia were among those killed, the spokesman said. A police officer, Raja Omar, said that both bombs were detonated through planted bombs exploded with the help of remote control or mobile device. Police said that both buses were carrying employees of the navy buses to work when came under attacks. Police sources said that bombs were attached to motorcycles and were parked on the routes of the navy buses. The first attack took place at Defense area of Karachi when a motorcycle exploded near the bus. The bus was carrying some 50 employees of the Pakistan Navy, a police officer said. Two navy officers were killed and 37 others were injured in the first blast, the navy spokesman said. Another blast was reported in the navy bus in Baldia Town area of Karachi, killing two and injuring 19 others, the spokesman said. MNF-Iraq (OND) is reporting the deaths of two U.S. soldiers during conducting operations in an undisclosed location in southern Iraq on Friday, April 22nd. NATO is reporting the death of an ISAF soldier from an insurgent attack in an undisclosed location in eastern Afghanistan on Saturday, April 23rd. NATO is reporting the death of an ISAF soldier from a helicopter crash in the Alah Say district, Kapisa province, Afghanistan on Saturday, April 23rd. NATO is reporting the deaths of two ISAF soldiers from an IED attack in an undisclosed location in southern Afghanistan on Saturday, April 23rd. NATO is reporting the death of an ISAF soldier from an IED blast in an undisclosed location in southern Afghanistan on Sunday, April 24th. #1: Six persons have been wounded in an improvised explosive charge (IED) blast against an Army patrol north of Baghdad, a security source said on Sunday. “An IED, planted on the roadside in northern Baghdad’s Kasra district, blew off against an Iraqi Army patrol, wounding four soldiers and two civilians,” the security source said. #1: A sticky bomb attached to the car of Major Rabah Abbas, an Iraqi army officer, detonated while he was leaving his house in western Baquba, some 65 km northeast of Baghdad, the source said on condition of anonymity. #2: Also in the city, a sticky bomb attached to a minibus detonated and killed the driver in northwestern Baquba, the source said. The U.S. military announced that two U.S. soldiers were killed Friday "while conducting operations in southern Iraq", without releasing further details pending notification of next of kin. However, relatives of Lt. Omar Vazquez of Hamilton, New Jersey, told reporters that he was one of the casualties, and that the deaths were the result of an IED attack on his convoy. Bomb attack near the entrance of the Church of the Sacred Heart in Karrada injures two police officers and two civilians. Gunmen attacked the car of Director-General of the Iraqi Taxes Commission, Fuad Fadhel Abbas, killing him on the spot. Armed men kill a Defense Ministry employee in Saydiya district. Defence Ministry Lieutenant-Colonel Yahya Fadhel Abbas escaped unharmed when a sticky bomb attached to his vehicle exploded in central Baghdad, an Interior Ministry source said. A police captain is killed by a sticky bomb attached to his car. An Iraqi soldier is killed, his wife and child are injured, in a separate sticky bomb attack. PM Al-Maliki rules out extending the Status of Forces Agreement, says that U.S. forces will leave Iraq as scheduled in December. This is in response to suggestions by U.S. Chairman of the Joint Chiefs of Staff Adm. Mike Mullen that U.S. forces might remain longer. Three NATO service members are killed by Roadside bombs in southern Afghanistan, one in an attack on Sunday, and two on Saturday. No further information at this time. NATO helicopter crash in Kapisa province kills one crew member, injures the other. "When coalition rescue forces arrived at the crash site, ISAF said, they immediately came under fire from insurgents. "Coalition forces returned fire with small arms and an air weapons team while working to evacuate the two crew members of the aircraft," an ISAF spokesperson said." A Taliban spokesman claimed credit for shooting down the aircraft but ISAF has no comment as to the cause. Pakistan halted NATO supply shipments to Afghanistan on Saturday after thousands of protesters rallied on the main road to the border to demand Washington stop firing missiles against militants sheltering inside the country. AP reports that the stoppage is temporary. Gunmen kill Haji Zahir Arian, former district chief of Marja, Helmand Province. Iraqis wonder aloud whether the US and Britain would have invaded Iraq if its main export had been cabbages instead of oil. However obvious the answer, a remarkable array of American pundits and pseudo-savants have resisted giving the oil factor any pride of place among the motives behind the US/U.K. 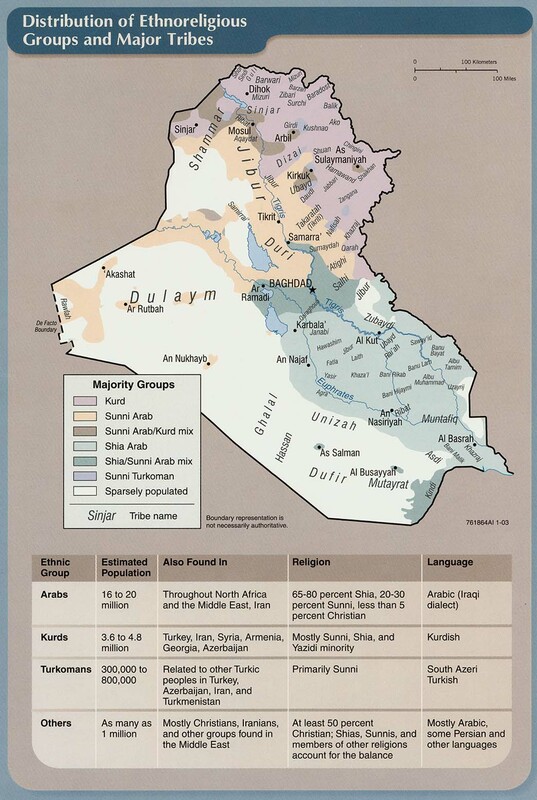 decision to invade Iraq in 2003. NATO is reporting the death of an ISAF soldier from an insurgent attack in an undisclosed location in eastern Afghanistan on Friday, April 22nd. #1: “A group of unknown gunmen opened fire from silencer-guns have opened fire on an officer, with a colonel rank, in west Baghdad’s al-Nisour Square, seriously injuring him and he lost his life while driven to hospital,” the security source added. #2: He said that an Iraqi Housing & Reconstruction Ministry official was killed, also by armed men, while passing on the highway passing through southern Baghdad’s al-Doura district. #1: Two Afghan policemen died and two more were wounded in an ambush in eastern Afghanistan Saturday, officials said. The interior ministry said the attack in Dara-i-Nur district in Nangarhar province was carried out by the "enemies of peace and stability", a term often used to describe the Taliban. #2: A foreign forces helicopter meanwhile crash-landed in Kapisa province, northeast of the capital Kabul, with two foreign troops rescued after what international forces called a "hard landing" The helicopter was forced to land after hitting a cable, said Kapisa deputy provincial governor Aziz Ul Rahman. "Initial information we have says that a helicopter of the foreign forces has hit a cable that the local people in Alasay district had erected between two mountains to ferry rocks," he said. "We have sent an investigation team to the area and the team will report back in few hours." The International Security Assistance Force (ISAF) spokesman Major Michael Johnson added that both crew members were alive and under the care of coalition forces, but said he could not comment on the extent of their injuries. #3: Two insurgents were killed in an airstrike while burying an IED and setting up an ambush with several others in the Andar district of Ghazni province, ISAF said. The DoD is reporting a new death previously unreported by the military. Spc. Sonny J. Moses died at the Landstuhl Regional Medical Center, Landstuhl, Germany on Monday, April 18th. He was originally wounded in a grenade attack at FOB Gamberi, Nangarhar province, Afghanistan on Sunday, April 16th. NATO is reporting the death of an ISAF soldier from an insurgent attack in an undisclosed location in eastern Afghanistan on Thursday, April 21st. #1: Gunmen using silenced weapons seriously wounded a police major when they opened fire on his car in the Amiriya district of western Baghdad, an Interior Ministry source said. #1: Three policemen were killed and three more were wounded in a bomb explosion in Ramadi, a police source said on Friday. “An improvised explosive device went off in al-Mustawdaa street in central Ramadi targeting a police vehicle patrol, killing three policemen and wounding three others,” the source told Aswat al-Iraq news agency. #1: At least 14 members of Pakistan's security forces were killed on Friday when Taliban insurgents attacked a checkpoint in the northwest of the country near the Afghan border, DawnNews TV channel quoted local police as saying. DawnNews said several hundred militants attacked the checkpoint in the Lower Dir, seen by Pakistani authorities as a hotbed of Taliban Movement of Pakistan, or Tehrik-i-Taliban Pakistan, which reportedly has links to Al-Qaeda. #2: Earlier on Friday, Taliban militants also launched an attack on NATO gasoline tanker trucks in northern Afghanistan's Baghlan Province, Bakhtar news agency reported. #3: A suspected U.S. drone strike in the Pakistani tribal region killed 25 people on Friday, intelligence officials said. In Friday's attack, a drone fired five missiles on a hideout in Mir Ali of North Waziristan, one of the seven districts of Pakistan's volatile tribal region bordering Afghanistan, two intelligence officials said. The officials said the militants, who were staying in the hideout, were planning to move into Afghanistan for an attack against coalition forces. But the attack also killed three women when one of the missiles hit a house next to the targeted compound, officials said. #4: A roadside bomb in southern Afghanistan has killed five Afghan border policemen. Gen. Abdul Raziq, chief of the Afghan border police in Kandahar province, says one other border policeman was wounded in the blast on Thursday night in Spin Boldak district along the Pakistan border. #5: Three construction company workers were killed and one was wounded in an airstrike by the NATO-led International Security Assistance Force (ISAF) in the Do Munda district of Khost province, police chief Abdul Qayum Esaaqzai said. An ISAF spokesman could not immediately confirm the incident. MNF-Iraq (OND) is reporting the death of a U.S. sailor from a non-combat related incident presumably aboard the USS Enterprise on Tuesday, April 19th. The French MoD is reporting the death of a French ISAF soldier from an IED attack south of Kapisa, Afghanistan on Wednesday, April 20th. #1: The head of the Iraqi parliament's anti-graft committee narrowly escaped assassination Thursday, according to his political bloc, which is loyal to radical Shiite cleric Moqtada al-Sadr. Baha al-Araji had been leaving his home in the predominantly Shiite north Baghdad neighbourhood of Kadhimiyah in the morning when three gunmen in an unmarked car pulled up and began firing silenced pistols at him, an official with the Sadrist bloc said from its headquarters in Najaf. "After a car chase, the three gunmen were caught" by Araji's bodyguards, added the official, speaking on condition of anonymity. #2: “Unknown gunmen attacked alcoholic beverages store in al-Jihad neighborhood in western Baghdad and opened fire on it, injuring three persons, including the store’s owner,” the source told Aswat al-Iraq news agency. 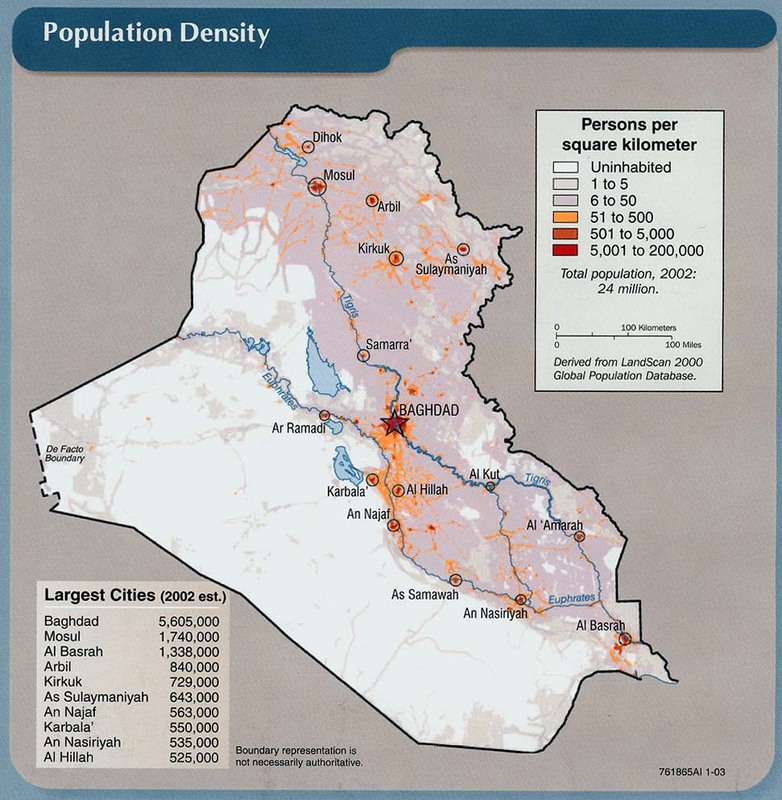 #3: “An explosive charge went off in al-Tahrir tunnel in al-Tayaran square, central Baghdad, wounding four persons and damaging a civilian car,” he added. #1: A child was killed and four more were wounded on Thursday in an assassination attempt of president of the Samarra Criminal Court, a source from the Samarra Operations Command said. "A roadside bomb went off in al-Aamroushiya region, central Samarra, southern Tikrit, targeting the motorcade of Judge Shihab Ahmad al-Aadzawi, who survived the attack, while a child was killed and four others, including three bodyguards, were wounded," the source told Aswat al-Iraq news agency. #1: The director of oil products distribution department in Ninewa was wounded on Wednesday by gunfire in eastern Mosul, a security source said. “Unknown gunmen opened fire this evening on Mohammad Younis Ismail, the director of the oil products distribution department in Ninewa, in al-Methaq neighborhood, seriously injuring him,” the source told Aswat al-Iraq news agency. #2: Gunmen in a speeding car shot dead a civilian in western Mosul, 390 km (240 miles) north of Baghdad, a police source said. #3: Gunmen attacked a police checkpoint, killing two policemen, in western Mosul, a police source said. #1: Three policemen have been killed and six others wounded in a bomb explosion in eastern Afghanistan, officials say. The bomb was planted inside a van which was transporting members of the Afghan National Police in Jalalabad city, Nangarhar province. The policemen were on their way to work when the blast occurred. The Taliban said they carried out the attack. #2: (?) About 90 rebels and civilians have been killed in NATO-led military operations in the Logar and Kunar provinces in Afghanistan, local officials and Taliban sources say. At least 70 Taliban rebels were killed in Logar, 65 km south of Kabul, and 17 others were killed in NATO air bombings on a village in the eastern Kunar province. According to Kunar governor Fazlullah Wahidi, one woman and two of her kids died in the attack. TWO Afghan women were killed in an operation in eastern Afghanistan that also left 17 insurgents dead, the NATO-led International Security Assistance Force (ISAF) said today. Local officials had previously said that two women and a child died in the fighting late Tuesday in the Dangam district of Kunar province. "The security forces returned fire, killing the insurgent and what turned out to be two women he was hiding behind," an ISAF statement said. It added that during the operation, ISAF troops "killed 17 insurgents including foreign fighters and detained one suspected insurgent while searching for an Al-Qaeda senior leader". #3: Gunmen on motorcycle attacked and torched two tankers carrying fuel for Western forces in Afghanistan in Bolan, 70 km (43.5 miles) east of Quetta, in Pakistan&apos;s southwestern Baluchistan province, paramilitary officials in the region said. #4: At least 12 militants were killed in an operation launched by the Pakistani armed forces in the country's northwest tribal area on Wednesday, reported local Urdu TV channel Ajj. According to the report, the Pakistani army shelled the hideouts of militants in Mohmand Agency with helicopter gunships. During the clashes, one soldier was also killed and six others were injured. The report failed to say at what exact time and in which specific area the military operation was carried out. The British MoD is reporting the death of a British ISAF soldier at the Queen Elizabeth NHS Hospital in Birmingham U.K. on Tuesday, April 19th. The soldier was wounded in a demining operation in the Nahr-e Saraj (South) District, Helmand province, Afghanistan on Monday, April 18th. #1: A bomb targeting a police patrol wounded three people, including one policeman, in Baghdad's central al-Mesbah district, an Interior Ministry source said. #3: Istabraq al-Shouk, deputy minister of construction and housing, escaped unharmed when a roadside bomb exploded near his convoy in northern Baghdad, an Interior Ministry source said. The source said four passers-by were wounded in the incident. #4: Two bombs killed three people and wounded 10 others when they went off in Baghdad&apos;s northeastern Sadr city slum, an Interior Ministry source said. #5: A bomb targeting a police patrol wounded two people, including one policeman, in Khilani square in central Baghdad, an Interior Ministry source said. #6: Armed men using silenced weapons killed an Iraqi policeman in Baghdad's southwestern Jihad district, police said. #7: A roadside bomb went off in Palestine Street in northeastern Baghdad, wounding two civilians and an Iraqi soldier, an Interior Ministry source said. #1: A bomb exploded on Tuesday by gunmen near a U.S. convoy in northern Nassiriya, according to chairman of the Thi-Qar council's security commission. "A bomb exploded on Tuesday targeting a U.S. convoy in Albu Halala region between al-Shatra and al-Nasr districts, northern Nassiriya, without causing casualties," Sajad al-Asadi told Aswat al-Iraq news agency. #1: A policeman was killed on Tuesday when his colleague shot him in northern Kut, according to a security source. “A policeman shot and killed his colleague using a Kalashnikov near Kut-Baghdad checkpoint in northern Kut,” the source told Aswat al-Iraq news agency. 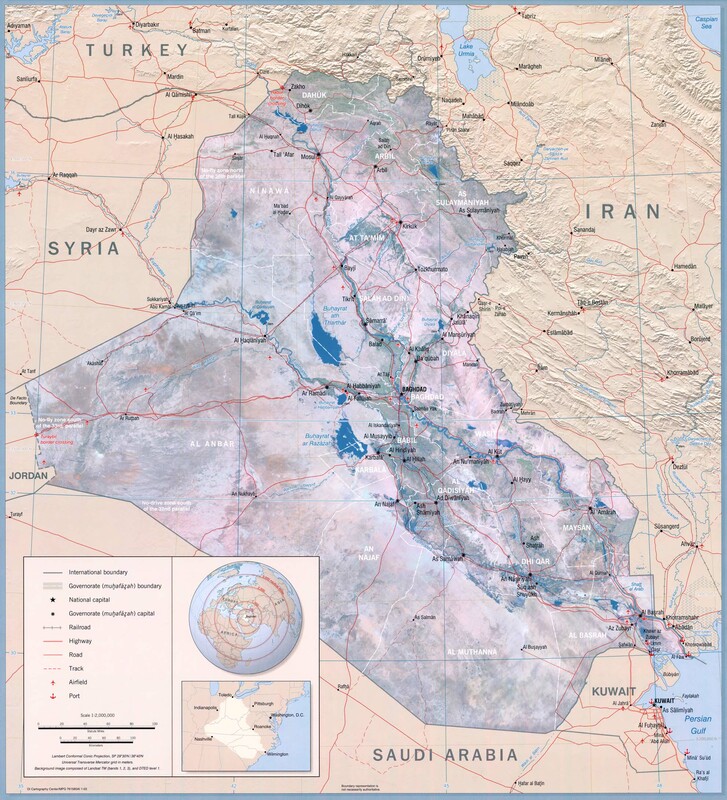 #1: In Salahudin province in the north of Baghdad, a booby-trapped car parked in central the provincial capital city of Tikrit detonated at about 7 a.m. (0400 GMT) near the convoy of Faisal al- Azzawi, chief judge in the Salahudin's Court of Appeal, a provincial police source told Xinhua on condition of anonymity. Azzawi escaped the attack unharmed despite damages to his vehicle, but four of his bodyguards were wounded by the blast, the source said. #1: Gunmen killed a high school student in southeastern Mosul, 390 km (240 miles) north of Baghdad, police said. #2: An employee of Iraq's Independent High Electoral Commission in Mosul escaped unharmed when a bomb attached to his car exploded just south of Mosul, police said. #3: The bodies of two men were found near a town southwest of Mosul, 390 km (240 miles) north of Baghdad, police said. #4: A Peshmerga element was killed on Tuesday by gunmen in eastern Mosul, according to a security source. "Unknown gunmen opened fire on a Peshmerga element from the Kurdistan Democratic Party (KDP) in al-Shuhadaa neighborhood, eastern Mosul, killing him instantly," the source told Aswat al-Iraq news agency. #5: A kurd and two Shabaks were kidnapped on Tuesday by gunmen in western Mosul, according to a security source. "An unknown armed group kidnapped a Kurd and two Shabaks on Tuesday afternoon in al-Maash market in western Mosul," the source told Aswat al-Iraq news agency. #1: A roadside bomb exploded near a police patrol, wounding four policemen and two civilians, in Ramadi, 100 km (60 miles) west of Baghdad, according to a spokesman for the governor of Anbar province. #1: Two insurgents were killed when one of the homemade bombs they were constructing exploded in Zormat district in southeastern Paktia province overnight, the Afghan Interior Ministry said. DoD: Capt. Charles E. Ridgley Jr.
#1: Separately, three policemen and two bystanders were wounded by a roadside bomb in Baghdad on Tuesday. The bomb was planed near a security checkpoint outside Iraq’s Finance Ministry. #2: In Baghdad, a sticky bomb attached to the car of Abdul Amir Hussien, director general in the Education Ministry, detonated in the morning and killed him while he was driving in Baghdad southern district of Doura, the source told Xinhua on condition of anonymity. Two bystanders at the scene were also wounded by the blast which destroyed the victim's car, the source said. #3: A roadside bomb wounded Naseer al-Chaderchi, a politician who ran unsuccessfully for parliament last year, along with two of his bodyguards and three bystanders, in Baghdad&apos;s northern district of Adhamiya, an Interior Ministry source said. #4: Gunmen in a speeding car using silenced weapons shot and wounded a policeman in central Baghdad, an Interior Ministry source said. #1: A member of parliament belonging to the Sadrists's; bloc escaped unharmed after a roadside bomb exploded near his convoy in central Mussayab, 60 km (40 miles) south of Baghdad, an Interior Ministry source said. #1: Police say gunmen stormed a house in a northern, ethnically mixed city in Iraq, killing three women who lived there. Police Col. Sherzad Mofaly says it’s not clear why the women were targeted in the attack late Monday in the city of Kirkuk. The women were Shiites from southern Iraq who recently moved to the city located 180 miles (290 kilometers) north of Baghdad. Mofaly says two were sisters, one was a teacher and the other was a lawyer. The third woman was a relative. #1: An Iraqi civilian has died and another man was injured in an explosive charge blast, stuck to his car, in west Iraq’s Falluja city on Tuesday, a security source said. “A group of armed men, who stuck an explosive charge to a civilian man's car, blew up while he entered a government office in central Falluja, killing him and wounding another civilian, who was close to the venue of the blast,” the security source told Aswat al-Iraq news agency. #1: At least one person was injured Tuesday when a NATO oil tanker was burned out in southwestern Pakistan's Balochistan province. According to local media reports, some unknown militants opened fire at the container carrying fuel for NATO force in Afghanistan in Dasht area of Sibi district in central Balochistan. The oil tanker was destroyed and a driver was injured, reports said. #2: A car bomb exploded outside a charity’s office, wounding two people in Quetta, police said on Tuesday. Ten houses were also damaged in the remotely-detonated blast in the capital of impoverished Balochistan province, which suffers from a separatist insurgency, sectarian violence and Taliban militancy. “Two passers-by including a woman received shrapnel wounds but they are out of danger,” senior police official Zaman Tarin told AFP. NATO is reporting the deaths of two ISAF soldiers from an IED attack in an undisclosed location in southern Afghanistan on Saturday, April 16th. NATO is reporting the death of an ISAF soldier from an IED attack in an undisclosed location in southern Afghanistan on Saturday, April 16th. #1: Two powerful car bombs exploded near a security checkpoint at a crowded entrance to Baghdad's heavily fortified Green Zone on Monday, killing five people and wounding at least 15, a security official said. Baghdad security spokesman Qassim al-Moussawi said two suicide bombers struck during the morning rush hour in a line of vehicles queuing at the western entry to the Green Zone, where government buildings and foreign embassies are located in central Baghdad. The bombers&apos; vehicles were packed with large quantities of explosives and blew up near two motorcades carrying a senior army commander and an official with Iraq's presidential council, Moussawi said. It was not immediately clear if they were the targets. In a statement, the media office of the Iraqi parliament said one of the explosions hit the motorcade of Amjad Abdul Hameed, an adviser to parliamentary speaker Osama al-Nujaifi. Hameed was not injured but one of his bodyguards was killed and three others were wounded, the statement said. The blasts destroyed an Iraqi army Humvee and set fire to several other vehicles at the scene. An Interior Ministry source said the explosions killed three people and wounded 20, including some Iraqi soldiers. #2: Gunmen using silenced weapons raided a goldsmith shop, killing one person and wounding another in Baghdad's southeastern Ameen district, an Interior Ministry source said. Three goldsmiths have been killed, together with a gunman, in an armed attack by unknown gunmen east of Baghdad, a security source said on Monday. “A group of unknown gunmen have opened fire on three goldsmith shops in eastern Baghdad’s al-Amin district, killing three goldsmiths and one of the attackers,” the security source told Aswat al-Iraq news agency. #3: Two roadside bombs wounded four civilians when they exploded in southern Baghdad, an Interior Ministry source said. Four persons have been injured in two explosive charges blasts in central Baghdad, raising the number of explosions in the Iraqi capital to four blasts over the past few hours of Monday, a security source said. 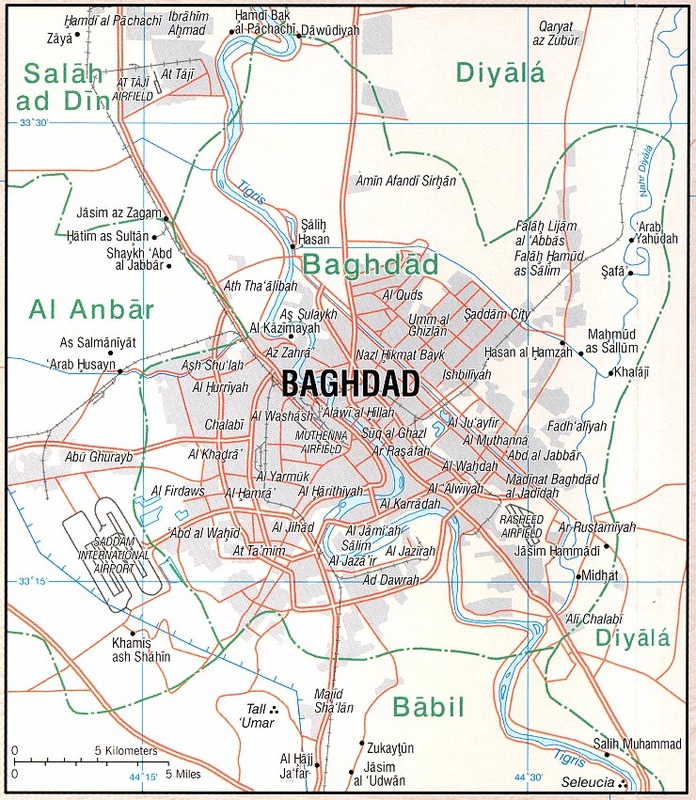 “Two explosive charges, planted on the roadside in central Baghdad’s Jadiriya district, close to Baghdad University, blew off to wound 4 persons, and cause damage to a number of nearby shops and cars,” the security source told Aswat al-Iraq news agency. #4: Iraq’s Finance Ministry’s Director-General, Ali Abu-Naila, has escaped an assassination attempt in eastern Baghdad on Monday, a security source said. “A group of unknown gunmen opened fire on the motorcade of the Finance Ministry’s Director-General, Ali Abu-Naila and an advisor of the Central Bank, accompanying him, on southeastern Baghdad’s Mohammed al-Qassim highway on Monday, causing no casualties, but damaging Abu-Naila’s car,” the security source said. #5: Two explosive charges blew up on Monday targeting two liquor shops in eastern and central Baghdad on Monday, a security source said. “Two explosive charges blew up on Monday morning, aimed at two liquor shops. 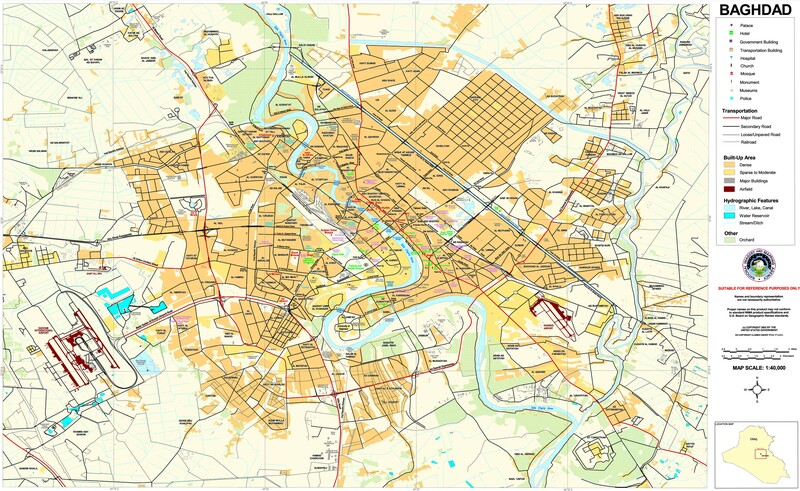 One of the shops is in southeast Baghdad’s ‘New Baghdad’ district and the other in al-Nidhal Street, in the center of the city,” the security source told Aswat al-Iraq news agency. He said that both explosions did not cause any casualties, but damaged a number of trade shops and civilian cars, close to the areas of the attacks. #6: The Adviser to the Iraqi Parliament speaker has escaped an assassination attempt by a booby-trapped car explosion, a Parliament statement announced on Monday. “The Adviser to Iraqi Parliament Speaker Amjad Abdul-Hamid has escaped an assassination attempt, when a booby-trapped car blew up in west Baghdad’s Qadisiya district on Monday,” the Parliament’s source said in a statement, a copy of which was received by Aswat al-Iraq news agency. The source said that one of Abdul-Hamid’s bodyguards was killed and three others suffered serious injures, caused by the explosion. #1: A bomb attached to a car wounded an off-duty army captain and three passengers in central Falluja, 50 km (32 miles) west of Baghdad, police said. #2: Two roadside bombs wounded three civilians on Sunday when they exploded in central Ramadi, 100 km (60 miles) west of Baghdad, police said. #1: A suicide attacker entered the Afghan Defence Ministry in Kabul, shot dead two Afghan soldiers and wounded seven others, Defense Ministry spokesman Zaher Azimy said. He said the bomber was shot dead before he could set off the explosives attached to his body. #2: A powerful landmine exploded under a police vehicle, killing six officers and seriously wounding two more in Ghazni province, southwest of Kabul on Monday, provincial police chief Delawar Zahed said. #3: Armed men have kidnapped 12 Iranian engineers in Western Afghanistan, as insecurity continues in the war-torn country despite the long-term military presence of US-led forces. #4: A local official in Khost province was killed and three of his family members injured following a roadside bomb struck their vehicle on Sunday, provincial police chief Abdul Hakim Ishaqzai said Monday. "A senior provincial official Khayal Mohammad was killed and three members of his family sustained injuries Sunday evening when his car ran over a mine," Ishaqzai told Xinhua. The incident happened outside provincial capital the same name Khost city, he further said. Gunmen invaded the home of a Shiite family living in a Sunni area and killed all 4 at about 1:00 pm Saturday. The dead are a 16 year old boy, a 14 year old girl, and their parents. Although it is not known whether the attack was motivated by sectarian animus, it is reminiscent of the violence during 2005-2007. Three rockets launched from southern Baghdad fall on the airport. No information as to damage or casualties at this time. Separately, the Iraqi army discovered a launch pad with rockets aimed at the Green Zone. Also, a civilian is injured by a roadside bomb in the Tunis district. The bullet ridden body of a policeman is found in the Shaab district. A roadside bomb hits an Iraqi army patrol, killing one soldier and injuring 2 others. Bomb attack on the director of traffic police for Anbar province causes no casualties, but damages his vehicle. Separately, a police officer is injured by a roadside bomb in central Ramadi. Sticky bomb kills a man from Ramadi who was working in Kirkuk. The story describes him as a "contractor," it is unclear what that means. Reuters describes him as a "businessman." Separately, a roadside bomb injures and employee of the city's medical department. Kuwaiti Airways is seeking Iraqi assets in compensation for equipment stolen during the 1991 war. 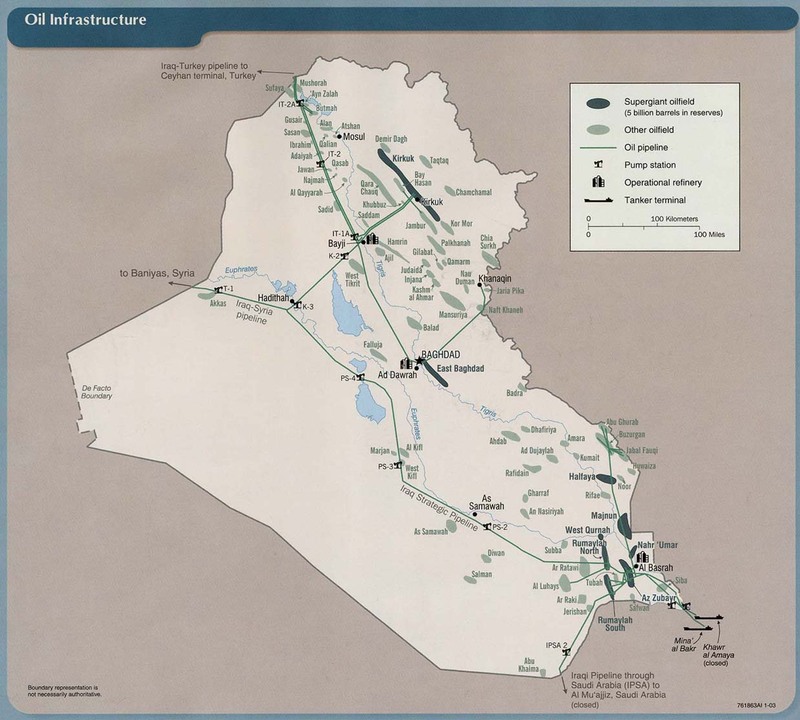 UN protection of Iraqi assets against such claims expires June 30. NATO announces three more troop deaths that occurred on Saturday, bringing the total that day to 8. The additional deaths resulted from 2 separate roadside bomb incidents. The nationality of the troops was not disclosed. Further details emerge on the incident yesterday at FOB Gamberi in which 5 NATO troops, four Afghan soldiers and an interpreter were killed. The perpetrator had joined the Afghan army one month ago. He detonated a suicide vest during a meeting. He was a Taliban agent. NATO is reporting the death of an ISAF soldier from an insurgent attack in an undisclosed location in eastern Afghanistan on Friday, April 15th. NATO is reporting the deaths of five ISAF soldiers from an insurgent attack in an undisclosed location in eastern Afghanistan on Saturday, April 16th. various news reports that a suicide bomber wearing an Afghan Army uniform attacked a base near Jalalabad, Nangarhar province. Four Afghan soldiers were also killed and 4 afghan soldiers and four Afghan translators were wounded in the attack. #1: Gunmen opened fire at a police patrol and killed one policeman in the southern Baghdad district of Ilaam, an Interior Ministry source said. #2: A group of unknown armed men have attacked a Federal Police patrol in northern Baghdad’s Kadhimiya district, wounding a policeman and escaping to an unknown destination,” the security source told Aswat al-Iraq news agency. #3: He said that an explosive charge blew off close to a petrol filling station in central Baghdad’s Karrada district, targeted against a motorcade of Director-General of Iraq’s Ministry of Higher Education & Scientific Research, wounding 3 civilians and damaging 2 cars. #1: A sticky bomb attached to an Iraqi army vehicle seriously wounded an Iraqi officer in southern Kirkuk, 250 km (155 miles) north of Baghdad, the Kirkuk police operations centre said. #1: The Wassit morgue received the unidentified body of a young man found dumped in the open north of al-Kut city and showing signs of having been shot, a morgue source said on Friday. “The al-Zahraa Hospital morgue in Kut received today (April 15) the body of a young man found by security forces in the district of al-Dabbouni, (75 km) north of the city,” the source told Aswat al-Iraq news agency. #1: A roadside bomb went off at an Iraqi army checkpoint close to a mosque and wounded four people, including two soldiers, in eastern Mosul, 390 km (240 miles) north of Baghdad, police said. #2: A grenade thrown at a police patrol wounded a policeman in western Mosul, police said. #3: A roadside bomb went off near an Iraqi army patrol and wounded one officer in northern Mosul, police said. #1: A sticky bomb attached to the car of a police lieutenant-colonel cut off part of his legs when it exploded in the town of Khaldiya, 83 km (50 miles) west of Baghdad, police said. #1: A suicide bomber attacked an Afghan army base near the eastern city of Jalalabad, killing four Afghan soldiers and wounding eight, a Defence Ministry spokesman said. There were also foreign casualties he said, without giving details. A spokesman for NATO-led forces confirmed there had been casualties but declined to say how many were dead or wounded. A Taliban suicide bomber wearing a military uniform hit an Afghan army base near the city of Jalalabad, the Afghan defence ministry said. Coalition officials said five foreign troops died but gave no more details. Four Afghan soldiers and four translators were said to be injured. the attack was one of the deadliest in months against foreign troops. It took place shortly after 0730 (0330 GMT) when the bomber approached the gate of the military base and detonated his explosives. The Taliban claimed responsibility for the bombing, adding that the attacker was a "sleeper agent" who had served in the army for at least one month before launching his attack. #2: Two civilians were killed, and three others wounded when the rickshaw they were travelling in hit a roadside mine in western Farah province on Friday afternoon, the Ministry of the Interior said in a statement. #1: An Iraqi Army officer was wounded in a bombing that targeted a military patrol, western Baghdad, a security source told Alsumaria. A policeman was wounded in a bombing that targeted a police patrol in Al Mikanik District, Dora region. #2: The body of a woman with gunshot wounds in the head and the chest was found in Al Sheala region. Another body of a man with gunshot wounds was found in Al Hurriya region, northwestern Baghdad. #1: One soldier was killed and another one was wounded by a sniper fire on Friday in the city of Baaquba, a security source said. “A sniper opened fire on a military control tower on the road between Diala and Kirkuk in al-Aadim district in Khales, northern Baaquba, killing a soldier from the 5th division of the Iraqi army and injuring another one,” the source told Aswat al-Iraq news agency. #1: Two persons were wounded in a blast that targeted their vehicle in Kirkuk on Thursday, according to a source from the city’s Joint Coordination Center (JCC). “An improvised explosive device (IED) blast targeted a civilian vehicle in southern Kirkuk, injuring two, one of them working for the National Security Center in the city and the other is an employee at a cotton ginning plant, and damaging their car,” the source told Aswat al-Iraq news agency. #2: Meanwhile, unidentified persons hurled a hand-grenade on the house of the assistant director of the public notary in al-Shurja area, northern Kirkuk, causing damage to the building, the source said. #1: Forty Afghan would-be policemen who were kidnapped by the Taliban last month were freed unharmed Friday, officials said. The men were abducted in the troubled eastern province of Kunar, which borders Pakistan, while travelling back from neighbouring Nuristan, where they had unsuccessfully sought work with the Afghan Local Police (ALP). A Taliban spokesman, Zabihullah Mujahid, added: "Our eastern shura (local council) agreed to free them after assurances by local elders that they will not work for the police." The DoD is reporting a new death previously unreported by the military. Pvt. Brandon T. Pickering died at Landstuhl Regional Medical Center, Germany on Sunday, April 10th from wounds received by small arms fire and RPG attack in Wardak province, Afghanistan on Friday, April 8th. #1: A roadside bomb went off near an Iraqi army patrol and wounded three soldiers in Baghdad's west-central Mansour district, an Interior Ministry source said. #2: Three civilians were wounded on Thursday in an improvised explosive device blast in Baghdad, a security source said. "An explosive charge went off in front of a barber shop in al-Zaafaraniya neighborhood, southeastern Baghdad late Thursday, injuring three civilians and damaging the shop," the source told Aswat al-Iraq news agency. #4: while two more bombs exploded in al-Youssifiya region in southwestern Baghdad, killing two people and wounding 13," the source told Aswat al-Iraq news agency. #1: The Mayor of Saadiya city in Diala Province and three of his guards, have been injured in an explosive charge blast on the roadside northeast of Baaquba, the center of the Province, a Diala Police source said on Wednesday. “An explosive charge, planted on the roadside between Saadiya and Jalalwla towns in Khanaqin township, 155 km to the northeast of Baaquba, blew off against the car of Saadiya Mayor, Ahmed al-Zarkoushy, wounding him and three of his guards,” the source told Aswat al-Iraq news agency. #2: The media director of the Diala police, Colonel Ghaleb Attiya, escaped on Thursday an attempt on his life by a bomb blast in central Baaquba. "I survived an assassination attempt when a bomb went off in front of my house in al-Tahrir neighborhood, central Baaquba," Colonel Attiya told Aswat al-Iraq news agency. "Three passing civilians were wounded in the explosion," he added. #1: Two roadside bombs went off in quick succession, killing two people and wounding 13 in the town of Mahmudiya, 30 km (20 miles) south of Baghdad, an Interior Ministry source said. #1: A bombing targeted a US military unit, northern Hilla, a security source said. #1: Three people were wounded by a roadside bomb in the town of Taji, 20 km (12 miles) north of Baghdad, an Interior Ministry source said. #1: A car bomb killed one person and wounded 16 others, including three policemen, two women and three children, when it went off in southern Kirkuk, 250 km (155 miles) north of Baghdad, Kirkuk police operations room said. #1: A sticky bomb attached to the front door of a house wounded the owner and killed his wife when it went off late on Wednesday in Mosul, 390 km (240 miles) north of Baghdad, police said. #1: Pakistani troops and paramilitary forces, backed by helicopter gunships and warplanes, targeted Taliban positions in the tribal region of Mohmand near the Afghan border on Thursday, killing at least 18 militants, a regional government official said. "We are going after them with full force, using every kind of force. They carry out attacks and other activities from there," Masood Khan, the government official, said. He said at least 18 militants were killed and 25 wounded in the fighting. "The operation is still on," he said. #2: At least three Afghan policemen were killed when suicide bombers attacked a police training centre in the east of the country, officials say. Police said two bombers also died in the raid on the base in Paktia province where dozens of men were being trained. According to police, four men with explosives tied to their bodies tried to enter the police training compound in Paktia and were challenged by security forces. The first attacker blew himself up outside the base, killing three policemen and injuring another three who were guarding the front gate, police said. A heavy exchange of fire followed in which the second attacker was killed. Police said the remaining two attackers managed to escape, the BBC's Bilal Sarwary reports from Kabul. #3: In the Kabul attack, a truck laden with explosives blew up outside the district governor's office. The attacker was killed and several policemen were injured, officials said. #4: In the third incident, police killed a suspected militant who was trying to enter a police station in the southern city of Kandahar. Officials said the man was wearing an explosive belt. NATO is reporting the death of an ISAF soldier from an IED blast in an undisclosed location in eastern Afghanistan on Wednesday, April 13th. #1: A bomb wounded three people in Baghdad&apos;s northern Adhamiya district, an Interior Ministry source said. #2: A sticky bomb attached to a minibus killed the driver and wounded two passers-by in Baghdad's western Yarmouk district, an Interior Ministry source said. #3: A sticky bomb attached to a car killed the driver in Baghdad&apos;s southern Doura district, an Interior Ministry source said. #4: A mortar round wounded three people in Baghdad's central Salhiya district, an Interior Ministry source said. #5: A roadside bomb wounded three people when it went off in Mansour district in west-central Baghdad, an Interior Ministry source said. #6: Gunmen using silenced weapons opened fire at a car and wounded four people, including two off-duty policemen, in Baghdad's southern Doura district, an Interior Ministry source said. #1: A roadside bomb struck a police convoy and seriously wounded Lieutenant-Colonel Najat Hassan in southeastern Kirkuk, 250 km (155 miles) north of Baghdad, police said. #1: Police said they found the body of a kidnapped prison guard with gunshot wounds in an area south of the city of Mosul, 390 km (240 miles) north of Baghdad. #2: Gunmen shot and killed a man in western Mosul, police said. #1: Gunmen using silenced weapons killed a man inside his shop on Tuesday evening in central Ramadi, 100 km (60 miles) west of Baghdad, police said. #2: A sticky bomb attached to a car carrying a police lieutenant killed him and wounded another person in the city of Falluja, 50 km (32 miles) west of Baghdad, police said. #1: An old rocket shell exploded in Dadno village in eastern Paktika province, killing two children, and wounding several others, the Interior Ministry said in a statement. #2: A roadside mine detonated under a vehicle belonging to private security firm Watan Risk in Wardak province, southwest of Kabul, the Interior Ministry said in a statement. One security guard was killed and three injured. #3: A suicide bomber killed ten people in an attack on Wednesday on a gathering of tribal elders in Afghanistan&apos;s eastern Kunar province, a volatile area where insurgents have gained ground in recent months. The attack took place in Asmaar district when elders from two tribes, some of them former warlords, were meeting to resolve a dispute, provincial police chief Khalilullah Ziaee said. The suicide bomber blew himself up in the middle of the group, targeting former mujahideen commander Mohammad Zarin, who died along with nine others. At least seven people were wounded, Ziaee said. #4: A suspected U.S. drone strike in Pakistan's tribal region killed six suspected militants on Wednesday, intelligence officials told CNN. Two intelligence officials said the suspected drone fired two missiles on a militant hideout in South Waziristan, one of the seven districts of Pakistan's volatile tribal region bordering Afghanistan. #5: Afghan and coalition forces have killed more than 10 Taliban insurgents during a two-day operation in northwest Afghanistan, the NATO-led International Security Assistance Force (ISAF) said on Wednesday. ISAF said the operation, which began on Monday and ended on Tuesday, was aimed to clear a suspected Taliban safe haven in Tez Nawa village of Ghormach district, located in Faryab province. It said the safe haven is associated with improvised explosive device (IED) activity and is a cache location. During the operation in the area, coalition forces killed more than 10 Taliban insurgents and detained 'numerous' others, ISAF said. "This area has historically been associated with the senior Taliban leader and Head of the Taliban Shura council for Ghormach," it added. #6: Three Polish soldiers have been wounded by a roadside explosive device in Ghazni province in the south of Afghanistan - there condition is not serious, say media reports. The explosion occurred earlier this morning and caused minor damage to the troop’s Rosomak military vehicle.